I fondly remember my Mr. Potato Head doll growing up where I used to switch up his teeth, mouth, ears and hair and store them in his back. Of course, over time I lost a lot of the pieces but it didn&apos;t matter; Mr. Potato Head could be silly and mixed up. It was part of the joy of having a toy like that. This holiday season, I am really excited to be giving my daughter her very own Mr. Potato Head. Today&apos;s Mr. 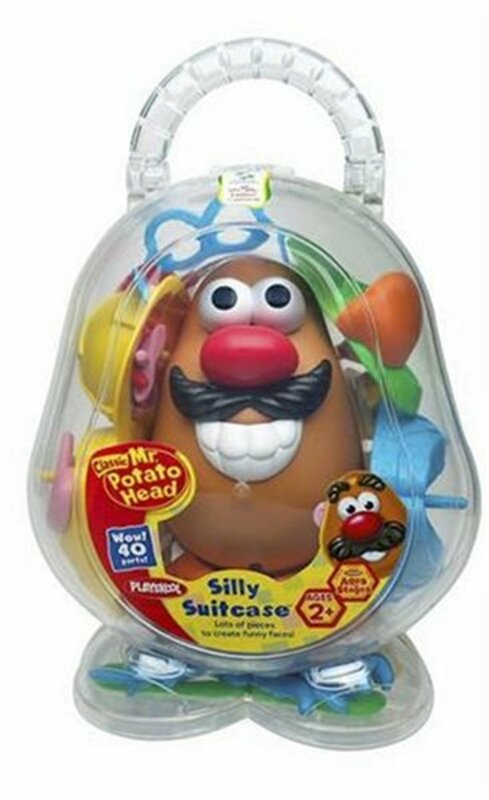 Potato Head is way more advanced complete with a handy storage suitcase that is filled with 40 different silly parts to make hundreds of Potato Head combinations! This include 4 ears, 5 pairs of eyes, 2 sets of teeth, 4 mouths, 2 tongues, 4 noses, 3 mustaches, eyeglasses, 2 earrings, a flower, 6 arms, a baseball hat, a construction hat, a visor, pair of feet, and 2 pairs of shoes for hours and hours of fun and creative play. As a classic toy, I also love that it isn&apos;t flashy or requires kids to be tech savvy. All kids need is to use their imagination to get creative to make their Mr. Potato Head happy, sad, silly and wacky and for $34.99 (on Amazon), it&apos;s a great gift idea this holiday season for kids of all ages.